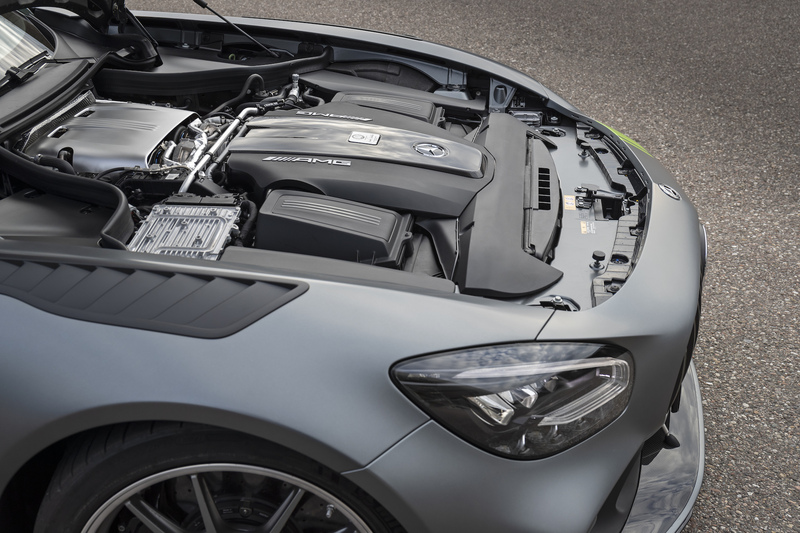 The AMG GT family is a well established gaggle of sports cars that arrived on the scene and quickly proved that they were worthy of competing with the mighty Porsche 911 with their caricature like proportions and preposterously charming V8s. 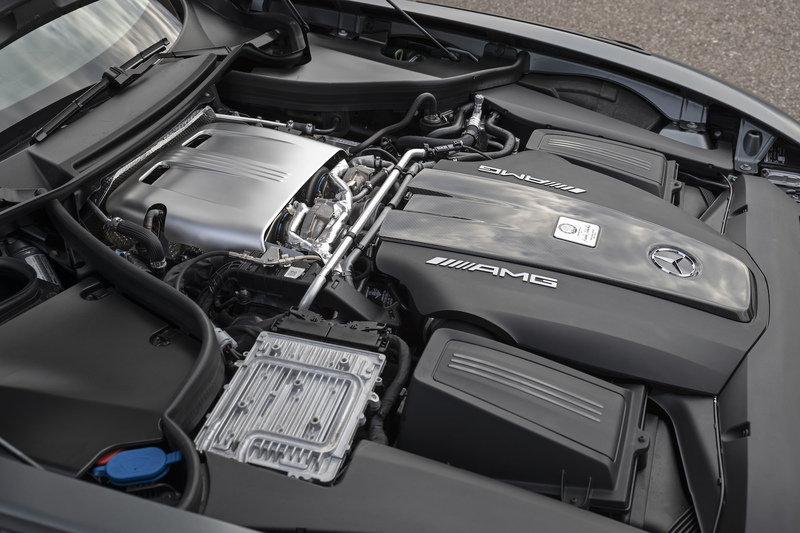 Every model from the base GT, to the Beyoncé hipped GT C and batshit GT R brute – there is a GT model for everyone. The latest addition has clearly been targeted at the fiend that eats blue steak for breakfast, small children for lunch and lion flesh for dinner – a little unhinged. 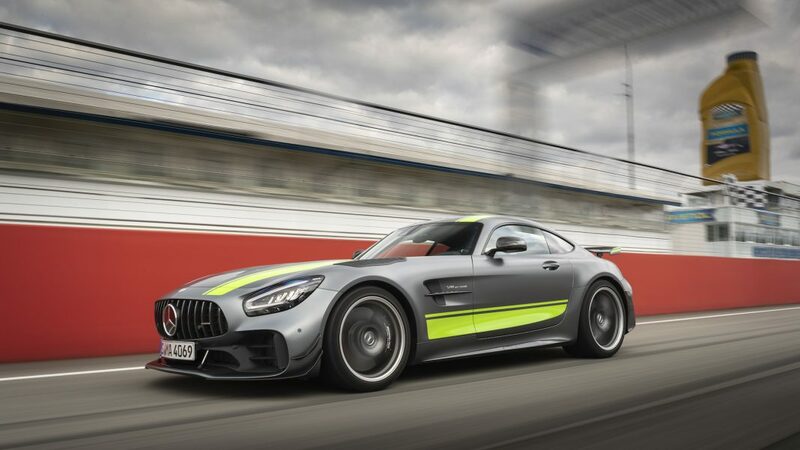 Meet the Mercedes-AMG GT R PRO. 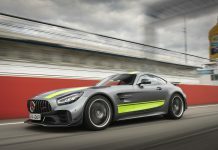 This is the new poster boy for Mercedes-AMG until the Black Series arrives and scares us all half to death. 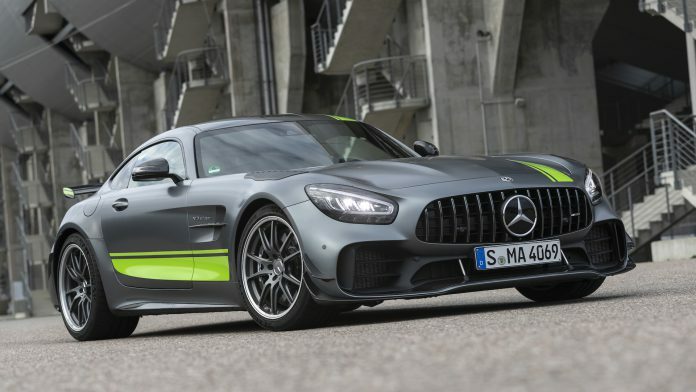 It is no more powerful than the GT R, but that isn’t the point of the PRO. 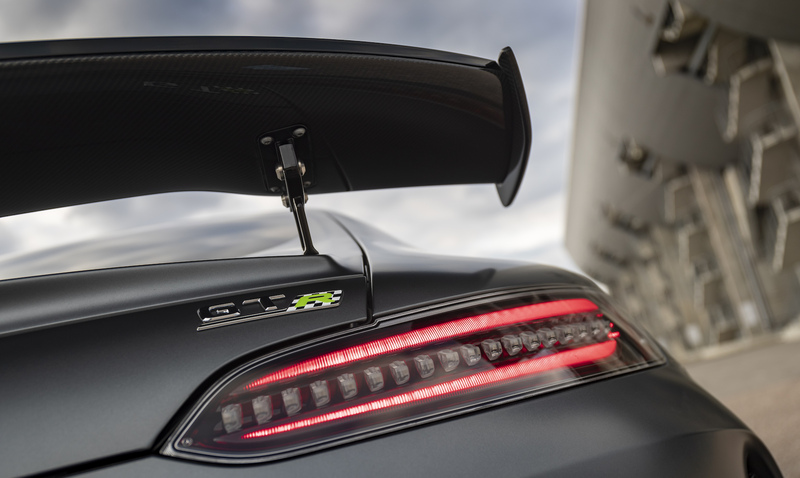 The PRO is for the track…pro that is set on shaving milliseconds off their Nordschleife PB lap time. Ahh yes, the Green Hell. 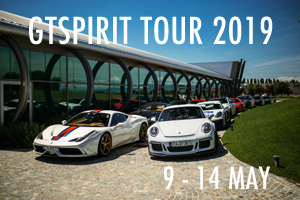 The GT R was broke built to, and broke, the production car lap record and was branded ‘The Beast of The Green Hell’. 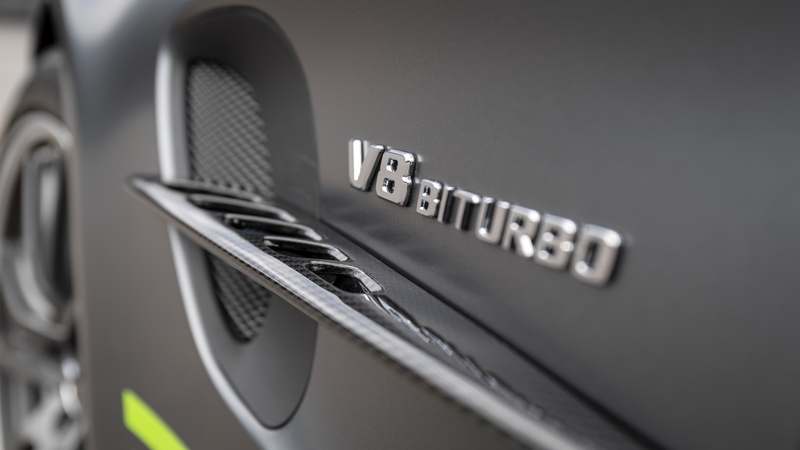 It has since been beaten by the GT2 RS and Huracán Performante – the PRO is six and a bit seconds quicker than the boggo GT R, an impressive feat given that the powertrain is identical. 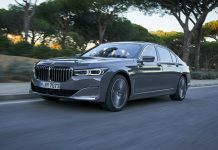 This highlights just how significant the changes to the rest of the car are. 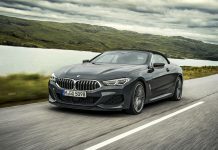 So there is still 577bhp and 516lb, how is it so much quicker and how much does this PRO cost? 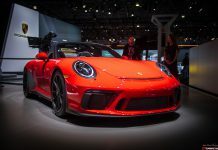 Well, it costs £188,345, some £40,000 more than the GT R. You must consider that the Track Pack (4 point harnesses, roll cage and fire extinguisher), Carbon Ceramic Brakes and Carbon Aero Kit are all included in the base price of the PRO where they are options on the GT R. What else does the price hike include? 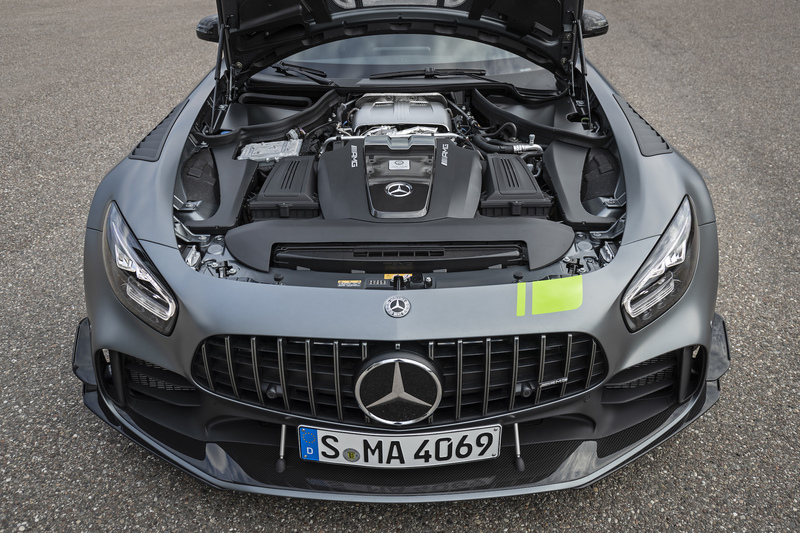 Well, there is some serious race tech borrowed from the GT4 car that is based on the AMG GT. 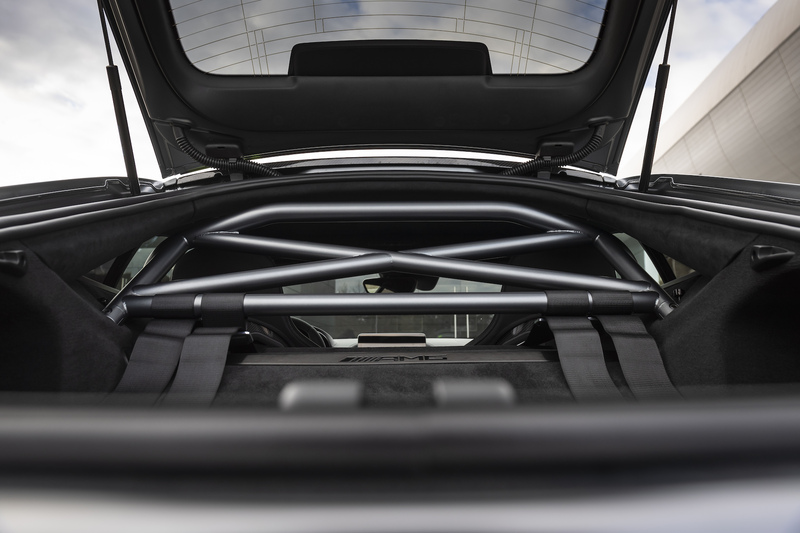 There are adjustable dampers, a plethora of weight reduced parts including carbon fibre antiroll bar at the front, carbon fibre shear panel on the rear underfloor to stiffen the structure and the fixed lightweight carbon buckets. 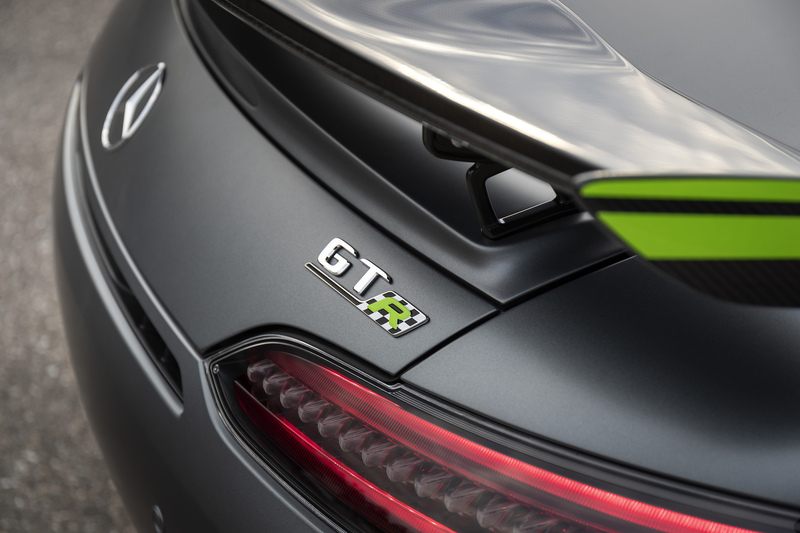 However, it does not make the GT R PRO a straw weight fighter like the Porsche GT3 RS as it has only burnt off 25 kilograms (1,575kg dry). 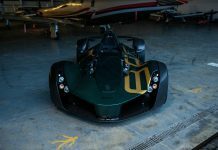 The aero is where you start to see your moneys worth – there is a chunk more aero action over the front half of the car bringing the PRO closer to the 50/50 aero balance that race cars aim to achieve. 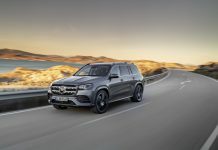 There is an additional 99kg of downforce at 250km/h, a lot of which is working on the front half of the car – AMG did not divulge exactly how much but it can be felt through the steering and overall balance in the high speed sections. 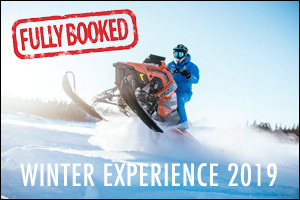 Sounds like you had a go at testing the high speed stability? Well, yes. 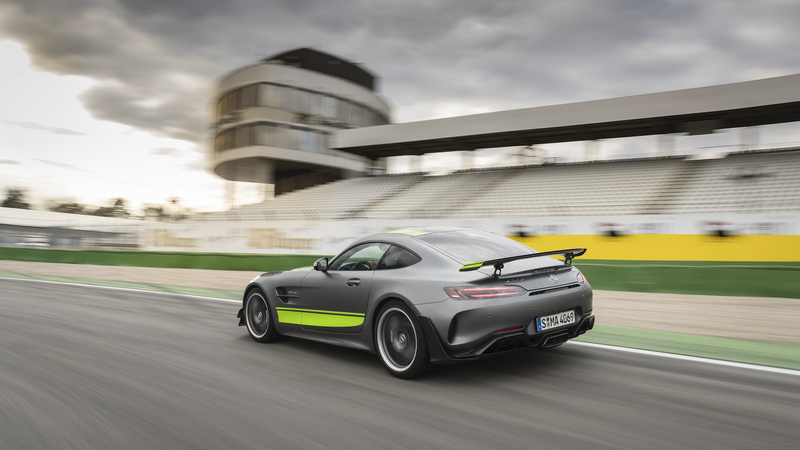 I was only allowed to drive the car on track – Hockenheim, an ideal venue with its scary fast bends that require you to push hard to make the most of. It is on the circuit when pushing hard that the quality of the dampers over kerbs and under hard braking that the changes are felt. Cup 2 tires are flattering out of the slower corners with immense traction firing you onto the next straight. The long sweeping left hand bend sees speeds of 250km/h on the speedo and the car feels supremely stable – still sounds fabulous too. 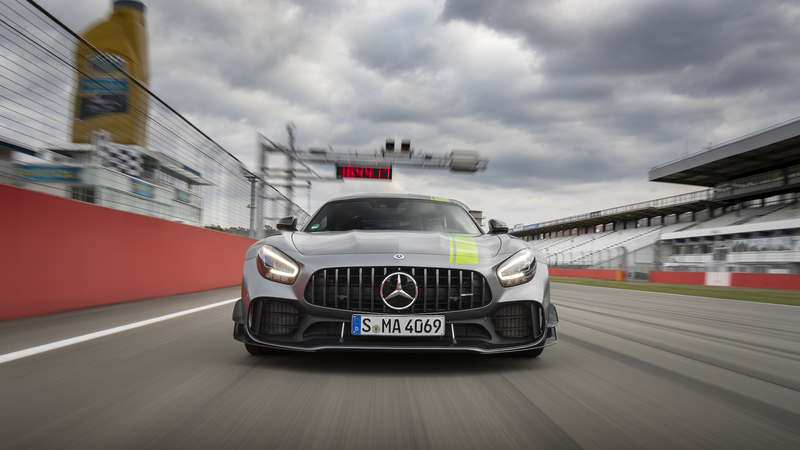 It inspires confidence and trust and that is perhaps what lacked in the standard GT R. The aero and suspension have cut the floating feeling that the GT R often unnerved me with on track last year. Sounds like the dream package? 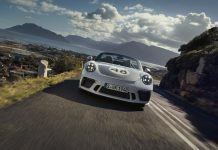 Better than an GT3 RS? Well, the GT R PRO is still based on the AMG GT. This means that it is BIG and there is a lot of car ahead of you. I wish it was a little smaller and a tad more nimble. 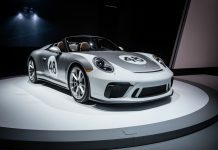 In some of the slower corners there is a smudge of front end push that the magicians at Porsche have eliminated – perhaps it is a weight issue that the Black Series will manage to address. 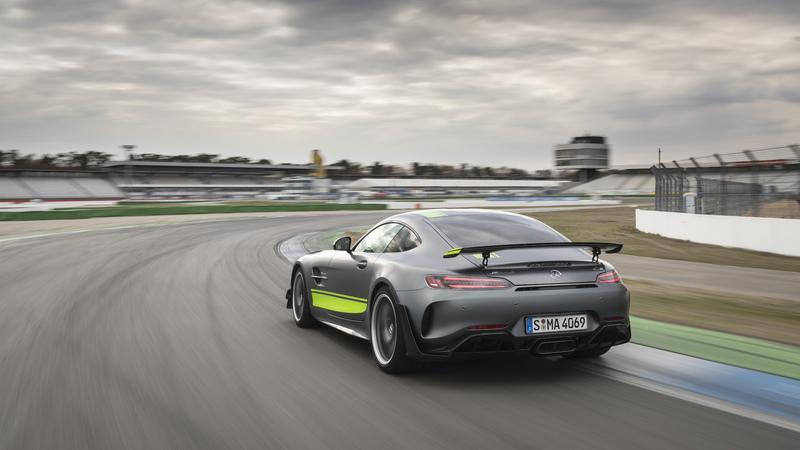 The Porsche is still a sizeable 10 or so seconds quicker around the benchmark ‘Ring time that we all pine about – AMG are quick to say that the PRO lap time was not set in optimal conditions. 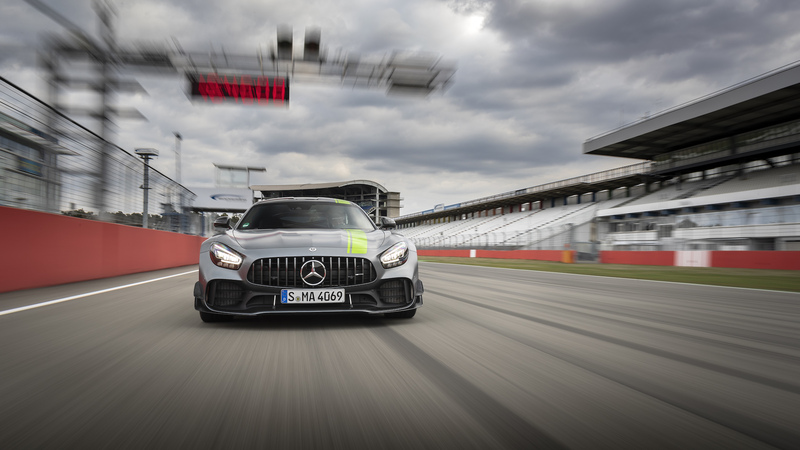 What I could deduce from my quick stint at Hockenheim is that the GT R PRO is just as much of a laugh as the rest of the AMG GT family – it is up for having a bit of a fun. 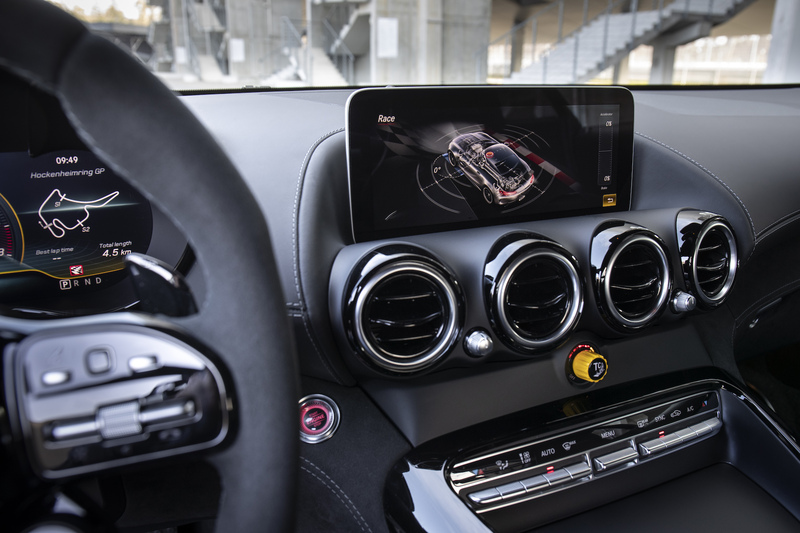 Set the ESP to Sport or OFF and pick a level of traction control using the stubby yellow knob and the GT R PRO will still have you laughing out loud. A GT3 RS might be more pointy and focused, but the GTR PRO is still a worthy of being held in equally high regard as a track day weapon. 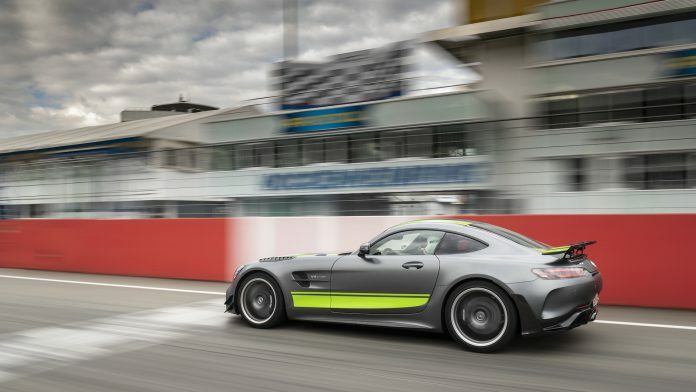 The GT R stops and goes hard, the PRO takes the on track abilities to another level. 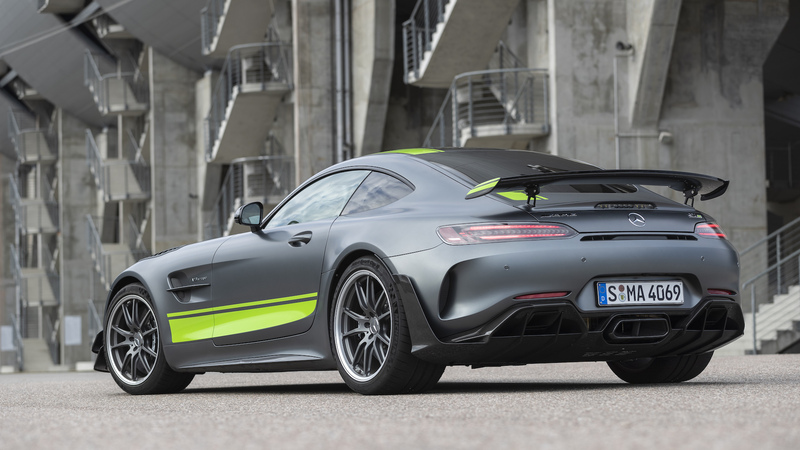 The AMG GT R has been turned up to 11 with the PRO and it is a masterpiece. Bring on the Black Series!